Post-mounted head rotates 180° and is adjustable, allowing for various working distances. 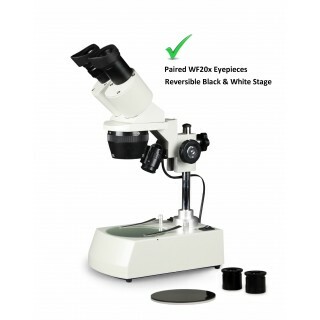 Interpapillary distance is adjustable between 51mm and 75mm. For use in the examination and actual dissection of specimens in life science and for the study of surface characteristics of minerals and rocks. 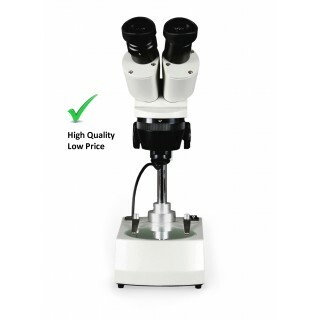 This microscope delivers a three-dimensional, un-reversed image with great resolution, brightness and clarity. This model is a real workhorse for education and industry. 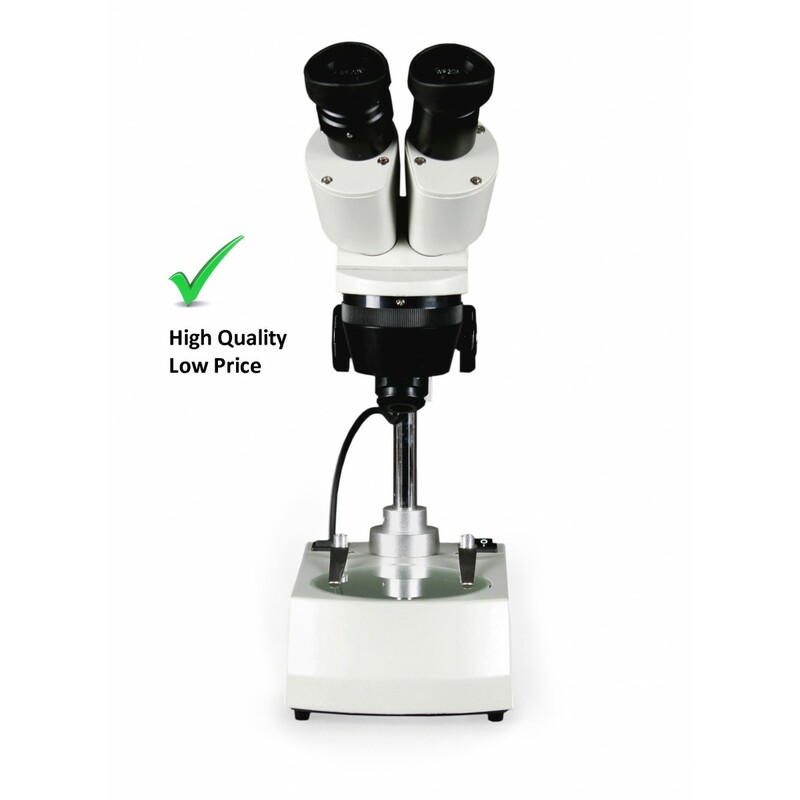 Choose lower or higher magnification by turning objective turret. 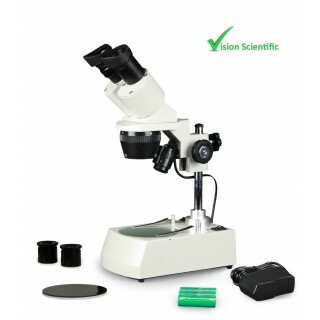 This 45° inclined, binocular stereo microscope with diopter adjustment on one ocular tube, promises top viewing comfort. The adjustable interpupillary distance ranges from 51mm to 75mm. 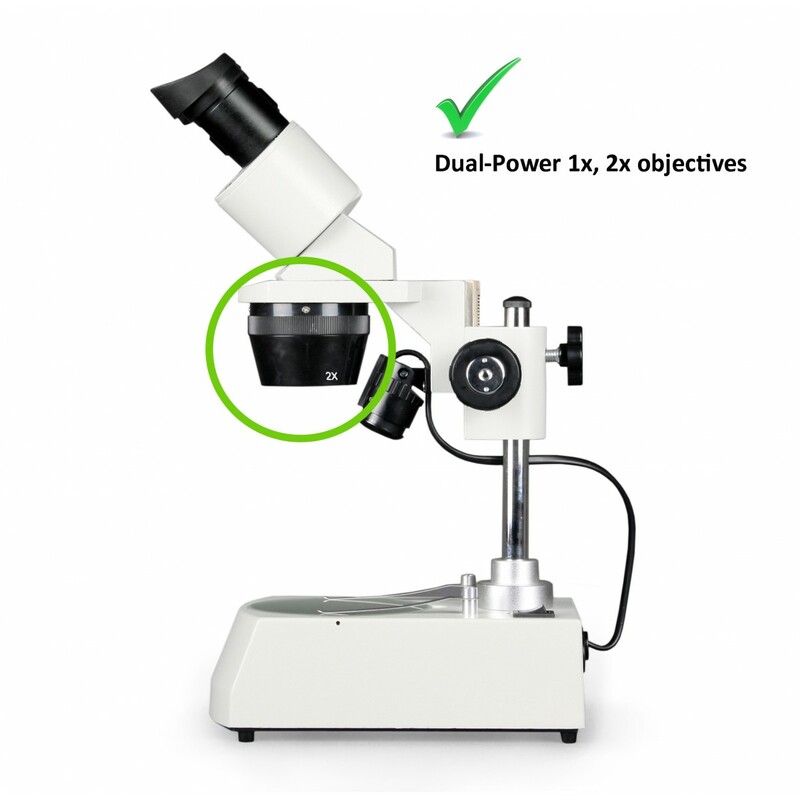 The 1x and 2x objectives are parfocaled and parcentered, providing 10x, 20x, 15x and 30x magnifications. 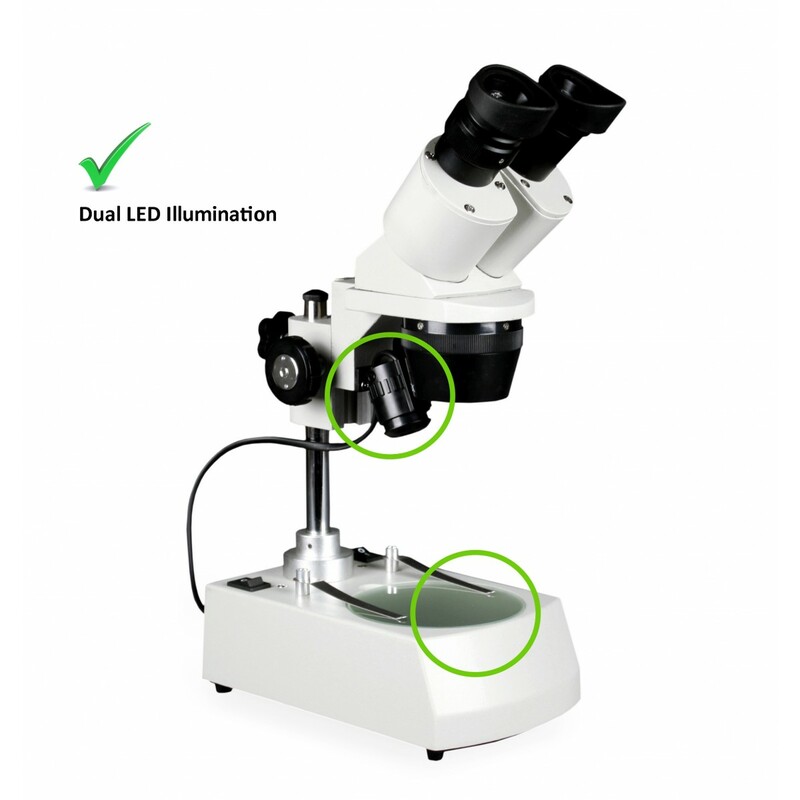 A dual illumination switch allows for three light setting options: top, bottom, or both. The LED illumination guarantees a clear and crisp, cool-to-touch white light, which lasts 60x longer than traditional tungsten bulbs. 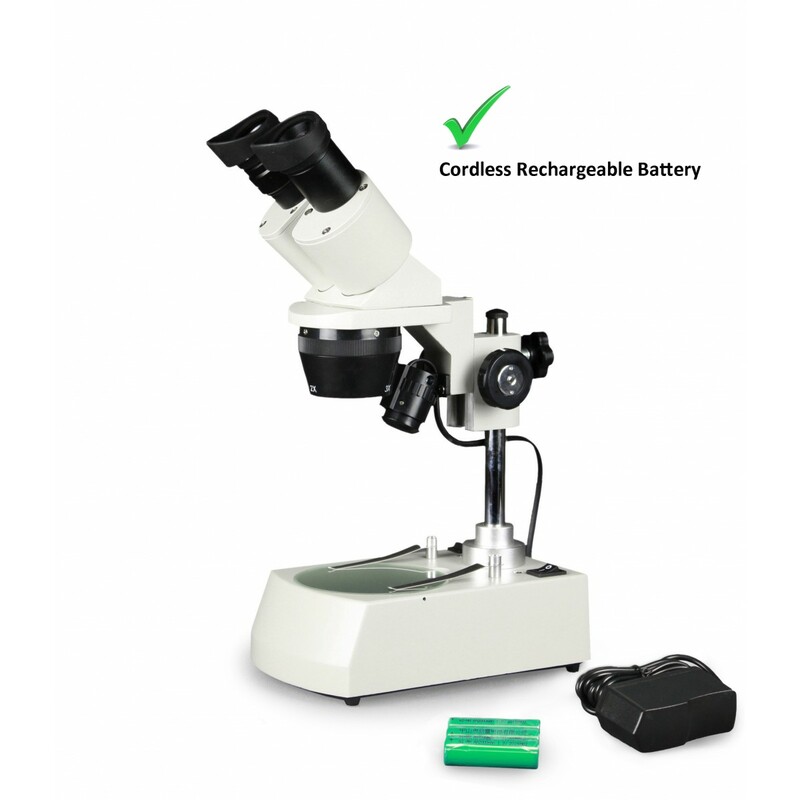 The rechargeable battery enhances flexibility, adding a cordless feature, which guarantees easy transport and increased mobility. 5-year limited warranty excluding bulbs.